African American Film has been a part of Hollywood since the early 20th century, but once depicted them in an unfavorable light. African American Film research paper due and don’t know how to start it? How about like this? Who are top directors of early African American films? One of the earliest motion pictures to present African Americans in a wholly racist way was D.W. Griffith’s 1915 silent epic The Birth of a Nation. “In terms of advancement of the medium, it must be regarded as one of the most significant films ever made”. However, the film shows African Americans in the most racist light. Reconstruction-era blacks are depicted as arrogant, lusty drunkards. African Americans continued to promote the dominant racial stereotypes of the day, “appearing as chicken thieves, venial preachers and the like”. These white Southern stereotypes were continued throughout Hollywood films through 1939’s Gone With the Wind, with Hattie McDanial’s portrayal of the maid Mammy. The Civil Rights Movement of the 1960s led to the “blaxploitation” genre of the 1970s, in such films as Shaft or Superfly, in which the black hero became an urban outlaw. These new images were perhaps as damaging to the image of blacks in popular culture as those of the early racial stereotypes. However, the 1989 film Glory is important in two reasons for its depiction of African Americans. First, it chronicles the 54th Massachusetts, the first all-black Civil War regiment. The struggles that these men had in gaining the respect of white citizens and soldiers, and simply being allowed to fight in a conflict that was determining their fate, puts an end to the racial stereotypes of the period that Birth of a Nation implanted in American minds decades before. These African Americans are strong and disciplined in the face of racial prejudice. 1960′s - 1960's term papers discuss Martin Luther King Jr., John F. Kennedy and the Vietnam War. Pop Culture - Pop Culture research papers examine the newest, most mainstream elements of a culture. 12 Years a Slave Film - 12 Years a Slave Film research papers overview the adaptation of Solomon Northrup’s slave narrative, recounting his 1841 kidnapping and sale into slavery. The Daughters of the Dust - The Daughters of the Dust Research Papers illustrate the connectedness of African Americans in their traditional customs and their emergence into the blended society. Pearl Bailey - This discussion will present a biographical analysis of African-American entertainer Pearl Bailey, who was in her lifetime a polarizing figure within the African-American community. Cop Shows or Films - Cop Shows or Films research papers compare and contrast cops television shows and cop movies. Spike Lee - This paper will present an in-depth examination of Spike Lee, his personal background and motivations, the path from his humble upbringing to his current high-profile position as one of the premiere avatars of contemporary African-American culture, and the political significance of Lee’s unique cinematic vision. African American Music Industry - African American Music Industry Term papers on Motown and the music industry trace the origin in black culture right up to todays prolific rap music scene. 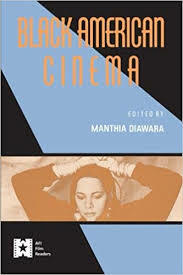 Paper Masters writes custom research papers on African American Film and delves into how African Americans were in involved with film since 1915.